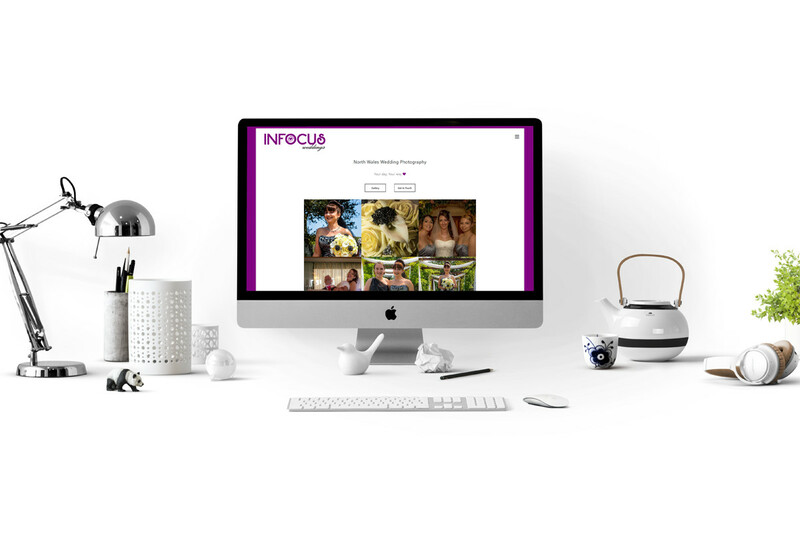 As InFocus Weddings approached a new outlook in 2017 "Your Day, Your Way" it became apparent they needed to up their game in regards to their branding, social media artwork and website. When they approached J-D Design, it became clear early on that we'd be able to provide InFocus Weddings the branding and online portfolio they required. They are a very traditional wedding photography service, they are very good at what they do however soon learned they would be better off partnering with J-D Design for their new branding and website management system. Featuring some of their fantastic photographs, along with the important contact us links and an additional link into their gallery of albums. A fully dynamic, easy to manage and update photo album system, allowing the InFocus team to add to their gallery easily as time moves forward. A professional contact form, matching the mobile-friendly responsiveness of the rest of the website, makes contacting InFocus with wedding enquiries really sleek. InFocus Weddings had a clear vision of how they wanted their website to look. They wanted the traditional 'white portfolio' style of website, which looked just as great on mobiles and tablets as it does on laptops and computers. They were very happy with the outcome. The new InFocus Weddings logo branding has been designed compatible to be placed on any type of media. Windows, car vinyls, even their professional attire during a shoot. Their new branding is relevant, modern and as dynamic as their business needs it to be. Finally, these days a business is only as good as they come across online - and for that InFocus needed the whole treatment. A new social media profile image, cover artwork and a modern Facebook Cover Video - which helps separate them from their competitors and helps them look as sharp as their photographs do.